Bojana Dimković leads a versatile career as a pianist, harpsichordist and lecturer. She is currently a staff member on the Keyboard Department of University of Niš Faculty of Arts and is in great demand as a chamber music partner. Concert engagements include performances in the UK, Serbia, Slovenia, Montenegro, Italy, Republic of Ireland, Norway and Island. Most noted are appearances at The Wigmore Hall, The Royal Festival Hall, St. John’s Smith’s Square, St. Martin-in-the-Fields and Buckingham Palace. She has participated at the Cheltenham Festival, London City, Oxford Lieder, Tudeley, Hampstead/Highgate, Steve Reich and London Handel festivals and is a regular guest at all major festivals in Serbia. Awards include prizes at many international competitions in solo and chamber music categories. She is a previous holder of the Henry Richardson Award (Musicians’ Benevolent Fund in London), a Wall Trust scholar, winner of the Petar Konjovic competition (solo and piano duo categories) and finalist of the Kathleen Ferrier Awards, Royal Overseas League (accompanist category), Torneo Internazionale di Musica, Broadwood Harpsichord Competition, Concorso Internazionale di Musica Citta di Stresa and Councours international de piano Nikolai Rubinstein. As an active chamber musician and continuo player, she regularly collaborates with many ensembles and individuals. Recent projects were realized with the Koelner Academy, RTS Symphony Orchestra, New Belgrade Opera, Belgrade Baroque Academy, Ensemble Metamorphosis, St. George Strings, Camerata Serbica and with many notable singers and instrumentalists. Her pedagogical career initially started at London’s Guildhall School of Music and Drama with two Fellowships within the Piano and then the Historical Performance department. She was engaged as a Piano Associate and accompanist at Vojislav Vučković school for music talents in Belgrade, The University for Fine Arts in Belgrade, the Belgrade Baroque Academy, New Belgrade Opera and for numerous masterclasses. As a young pianist she won prizes at many national and international competitions in her home country Serbia. At the age of 16 she received a scholarship to study music at the prestigious Purcell School for music talents in London. She graduated in solo piano at the Guildhall School of Music and Drama and subsequently obtained a Master degree, Artist Diploma and postgraduate degree in chamber music and historical performance. She completed her Doctoral degree in 2017 at University of Belgrade’s Faculty of Music. Bojana has recorded for many radio and television programmes for Radio Belgrade 1 & 2 and TV channels RTS 1, RTS 2 and RTS Digital. 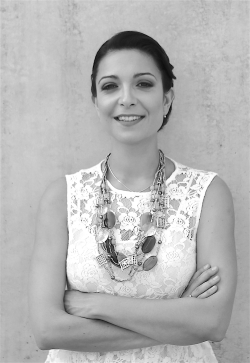 She is on the Editorial Board of the journal Facta Universitatis: Visual Arts and Music.